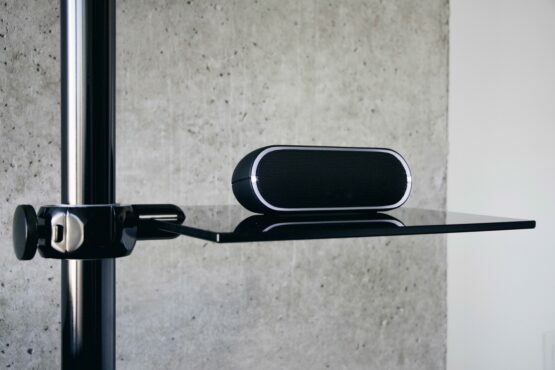 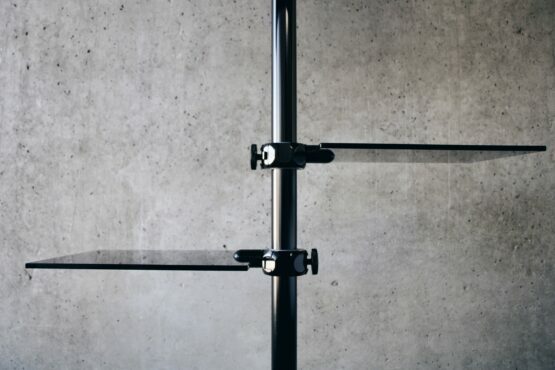 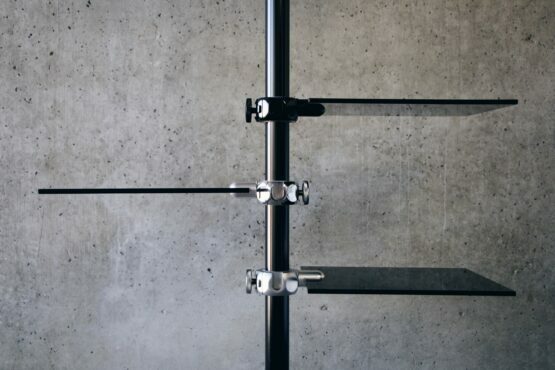 Mofo’s glass shelving in a sleek, smoked black finish is available in two sizes to accommodate your distinct needs. 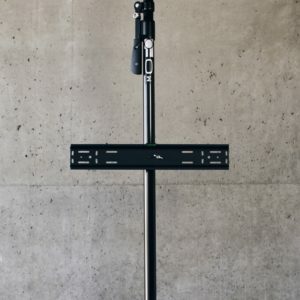 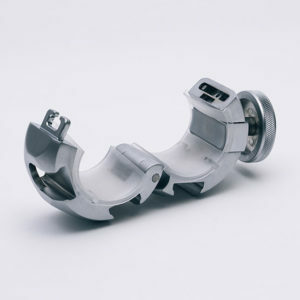 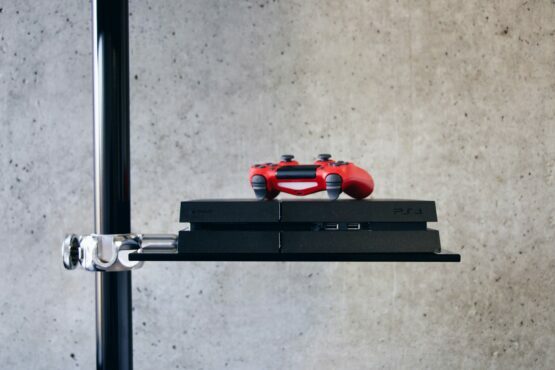 The shelving system includes a unique bullet bracket connector for attaching to the Mofo snap clamp. 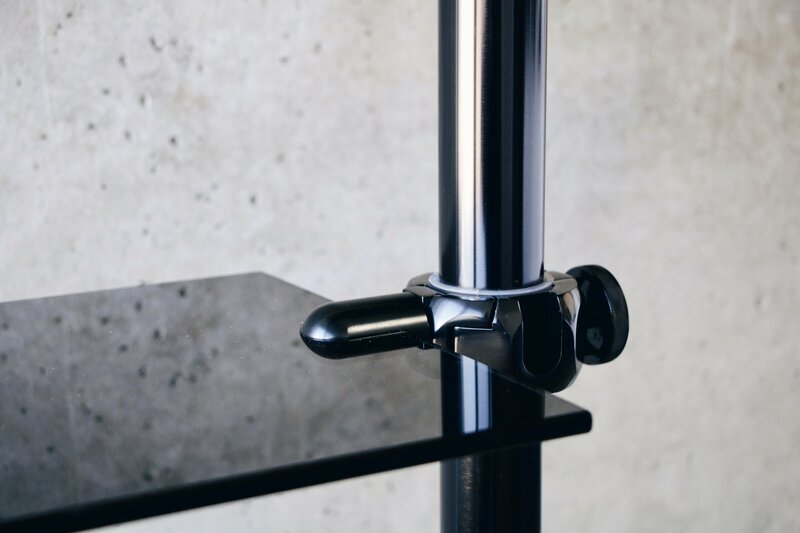 Choose your preference of bullet bracket which will attach to your shelf. 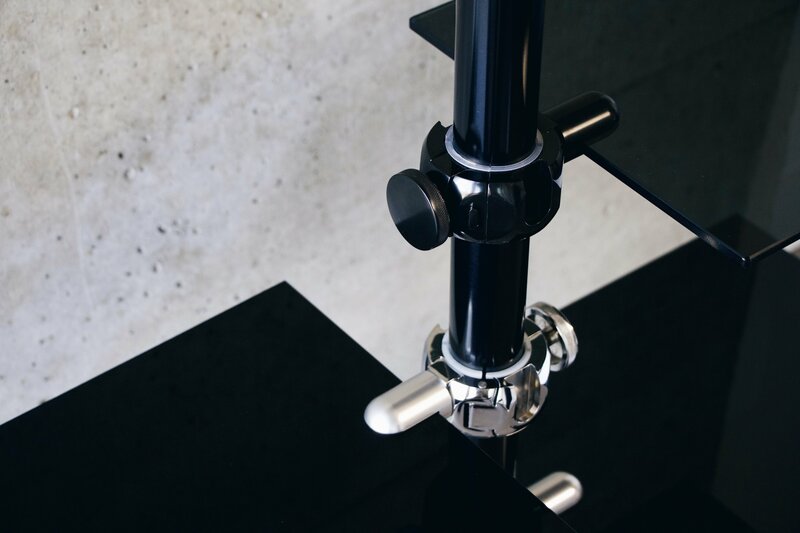 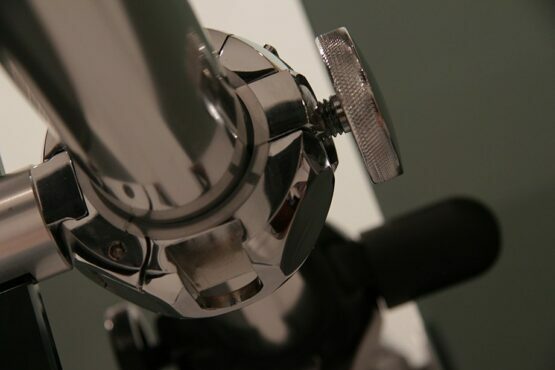 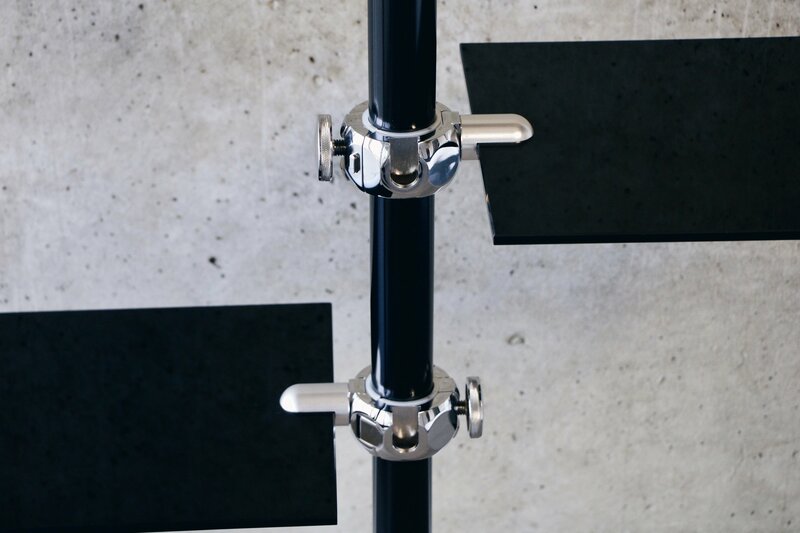 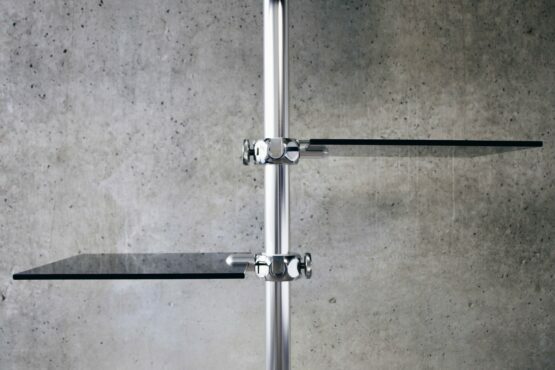 Once you have picked the finish for your Snap Clamp, you can choose the size of glass as well as the finish of the bullet bracket which connects the shelf to the Snap Clamp.